Ouch: Mastery: Illuminated Healing no longer activates from periodic healing effects. Ouch: Judgment for Holy Paladins now costs 12% of base mana to cast (up from 5% of base mana.) If you take the Selfless Healer talent (below) then your Judgments also provide a point of Holy Power. Hmmm…: Guardian of the Ancient Kings (Holy) now has a cooldown of 3 minutes (down from 5 minutes), and summons a guardian that heals the ally that the Paladin healed for 100% (up from 10%) of the amount healed, but no longer heals nearby friendly targets. Hmmm…: Holy Radiance now functions like a smart heal, healing the 6 most injured friendly targets within range, and minor guardians are no longer targeted (Wild Imps, Bloodworms, Snakes from Snake Traps, etc.). There has been no change to the total amount of healing granted by the ability. The Selfless Healer talent (see talents, below) now also applies to Holy Radiance. Buffed: Holy Insight now increases the effectiveness of Eternal Flame, Light of Dawn, and Word of Glory by 50%. Effectiveness of other heals are still increased by 25%. Sweet: Holy Shock‘s mana cost has been reduced by 50%, Sanctity of Battle now applies, and Sanctified Wrath (talents, below) increases the crit chance by 20%. Nice: Crusader Strike now applies a Weakened Blows effect to the target for Protection Paladins. Hmmm…: Grand Crusader no longer has a chance to activate from Crusader Strike and Hammer of the Righteous, but now has a 30% chance to activate when dodging or parrying a melee attack (up from 12%). Replaced: Burden of Guilt has been replaced with a new talent called Evil is a Point of View. The New Talent is Evil is a Point of View which allows the Paladin to use Turn Evil on players and beasts. Eternal Flame‘s periodic heal-over-time effect now heals for 40% more than before. Sacred Shield (Holy:) Sacred Shield now applies its damage absorption shield immediately, can be active on more than one target at a time, but the talent now costs mana and has 3 charges with a 10-second recharge. Selfless Healer in addition to its current effects, now also causes your Judgment to generate a charge of Holy Power for Holy Paladins. Stacks of Selfless Healer now reduce the cast time, mana cost, and improve the effectiveness of Divine Light, Flash of Light, and Holy Radiance. The Bastion of Glory effect from your Shield of the Righteous will now apply Selfless Healer‘s bonus to healing to the casting Paladin as well as other targets and consume all stacks of Bastion of Glory in the process. Sanctified Wrath (Holy:) Sanctified Wrath now also increases the critical strike chance of Holy Shock by 20%. Execution Sentence will now immediately damage the target for 5 times the amount of damage that had been dealt by Execution Sentence’s most recent periodic effect when dispelled. Stay of Execution will now immediately heal the target for 5 times the amount of healing that had been dealt by Stay of Execution’s most recent periodic effect when dispelled. Light’s Hammer now functions like a smart heal, healing the 6 most injured friendly targets within range, and minor guardians are no longer targeted (Wild Imps, Bloodworms, Snakes from Snake Traps, etc.). There has been no change to the total amount of healing granted by the ability. Glyph of Hand of Sacrifice: Hand of Sacrifice no longer transfers damage taken by the target to the Paladin. I assume this means that the Hand now puts a shiled on the target, making things somewhat safer for the Paladin. There is a very similar change to the Warrior’s Vigilance ability. Glyph of Denounce now causes Holy Shock to reduce the cast time of the next Denounce by 0.5 seconds, and the effect can stack up to 3 times, previously there was a chance to have the cast time lowered by 1 second. Glyph of Divine Plea now reduces the amount of mana restored and cooldown of Divine Plea by 50%. Previously it returned some mana up front and eliminated the healing reduction that Divine Plea used to provide. Glyph of Inquisition has been redesigned. Previously (5.3) it reduced the damage bonus of Inquisition, but increased its duration. Now the glyph now increases the duration of Inquisition by 30 seconds (up to a maximum of 2 minutes) each time the Paladin lands a killing blow on targets that yield experience or honor. Glyph of Rebuke has been replaced with Glyph of Devotion Aura. The Glyph of Devotion Aura causes Devotion Aura to no longer affect party or raid members, but the cooldown is reduced to 2 min, from 3 min. Glyph of Turn Evil has been replaced with Glyph of Burden of Guilt. The Glyph of Burden of Guilt causes Judgment to reduce the target’s movement speed by 50% for 2 seconds. 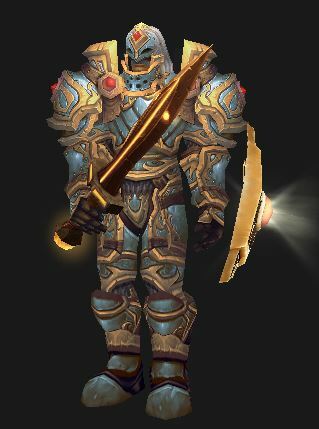 Paladin guide – Paladins in general, what they are all about. 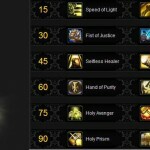 Holy Healing – A guide to dungeon & raid healing as Holy. Holy PvP – Help the other guy to kill them all. Holy PvP Gear – The gear you need. Retribution PvE – DPSing as Ret. in raids and such.